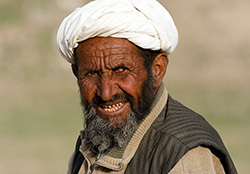 We praise the Lord for enabling us to serve Him and making Jesus known through personal evangelism in Afghanistan at the time when Taliban were in Power, in the Pashtuns areas of Pakistan and Afghanistan. We have the great privilege to serve Him through translation and recording of New Testament books. We also share the Gospel with the Pashtuns by phone calls and have contact with hundreds of them. Our training ministry in Pakistan & Afghanistan aims to teach and equip the passionate indigenous Pashtun believers who know the language and cultural sensitivities of the local population; to share the message of salvation for the glory of our Lord. The goal of this particular venture in our ministry which started in 2012 is to teach and equip those believers who are gifted to be called as the pastors, teachers and evangelist through short and long training sessions, which has an extraordinary impact on the effectiveness of the ministry.